The room was very clean and pretty. We arrived after a stressful morning and the sweet man who runs the place was very kind to us without us even having to tell him. He even gave us free breakfast and the staff were all very welcoming and friendly. I highly recommend this place!! The property is set off the road and is quiet but close enough to the beach and the town. It’s incredibly clean with a modern but traditional Greek theme. Great and helpful staff. Lovely restaurant with tasty greek food. The pool area is also pretty nice and comfortable. The bathroom was really modern and the shower had a glass enclosure which was nice. La posizione ottima... Staff molto accogliente.. Camera spaziosa... Pulizie giornaliere..
L’accueil, les petits déjeuners, l’espace piscine et le bon rapport qualité prix. 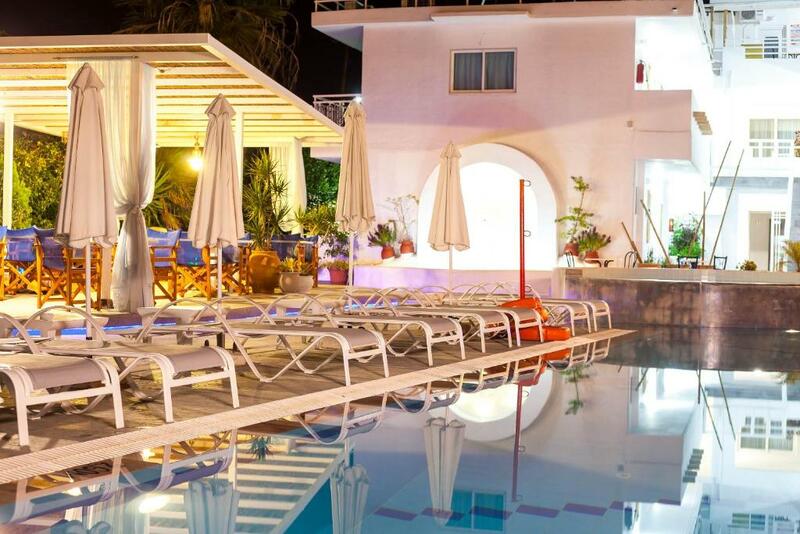 Lock in a great price for Tinas Plus Hotel – rated 8.8 by recent guests! 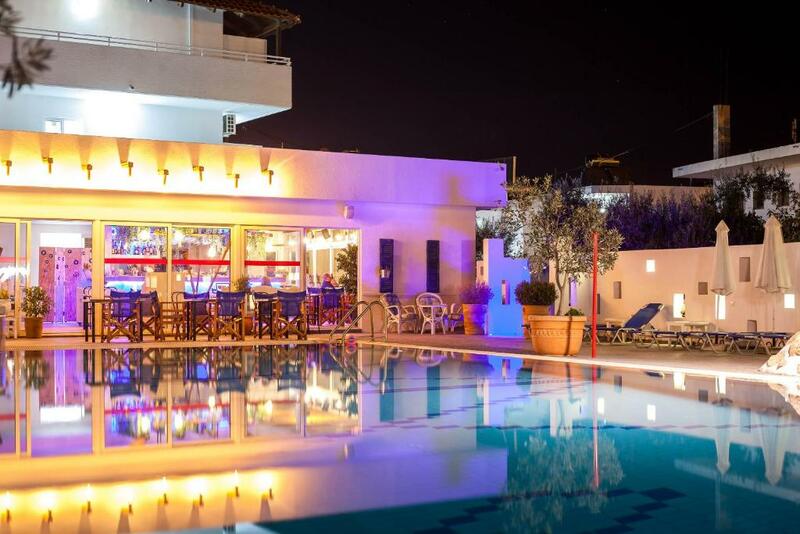 One of our top picks in Faliraki.Within 2,650 feet of Faliraki Beach, clubs and shops, Tinas Plus Hotel offers a pool and an a la carte restaurant. 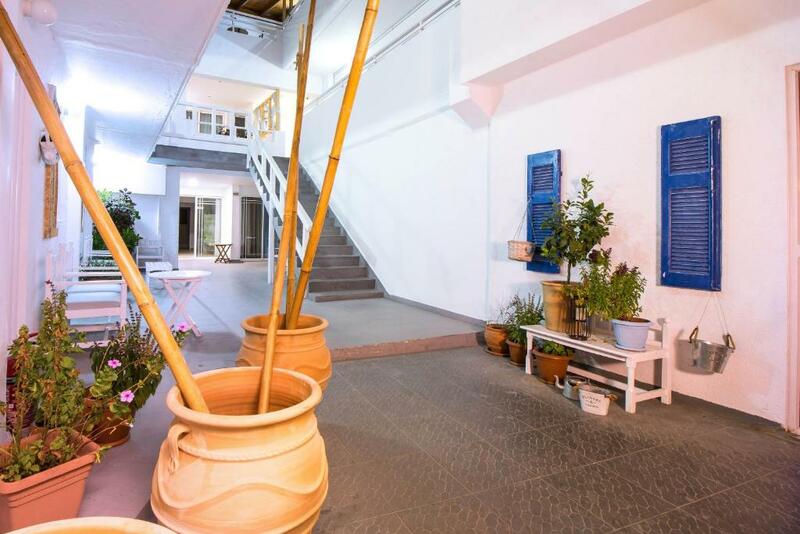 It features rooms and apartments with a balcony overlooking the sun terrace and the mountains. Free WiFi is available in all areas. 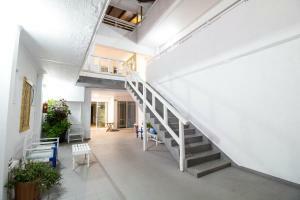 Each unit has a seating area, a safe and a private bathroom with a shower. Air conditioning is offered. A satellite TV is available in the lounge area of Tinas Plus. There are billiards facilities. Rhodes Town is 7.5 mi away, while Diagoras International Airport is at a distance of 12 mi. Free private parking is provided on site. This is our guests' favorite part of Faliraki, according to independent reviews. 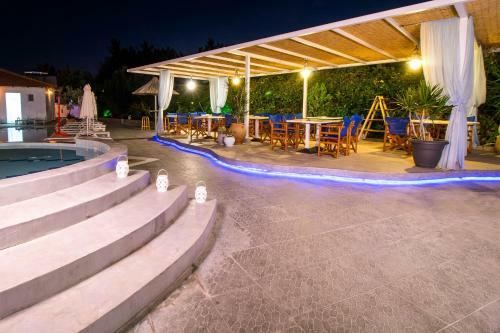 This property is also rated for the best value in Faliraki! Guests are getting more for their money when compared to other properties in this city. 뀐 Located in the top-rated area in Faliraki, this property has an excellent location score of 8.6! When would you like to stay at Tinas Plus Hotel? This unit opens to a balcony overlooking the sun terrace and the mountains. Air conditioning, a TV and a fridge are featured. This apartment has a balcony, kitchenware and seating area. Air conditioning, a TV and a fridge are included. We consider our property special as we give our very best for our guests since we have repeaters to the hotel from 1990. 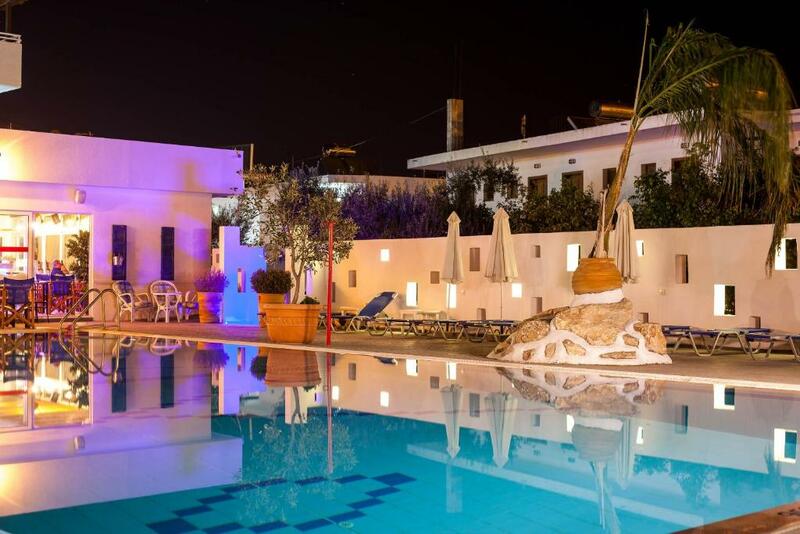 Our property is almost 800 meters from Faliraki Center and 900 meters from Faliraki Beach.Our location combined with our pool is perfect fo those who want to relax and enjoy Faliraki at Rhodes. House Rules Tinas Plus Hotel takes special requests – add in the next step! Tinas Plus Hotel accepts these cards and reserves the right to temporarily hold an amount prior to arrival. Kindly note that you must have the credit card with which the reservation was made upon check-in. Please inform Tinas Plus Hotel of your expected arrival time in advance. You can use the Special Requests box when booking, or contact the property directly using the contact details in your confirmation. The apartments were clean and modern. They are quite basic but we’re ideal for what we needed. 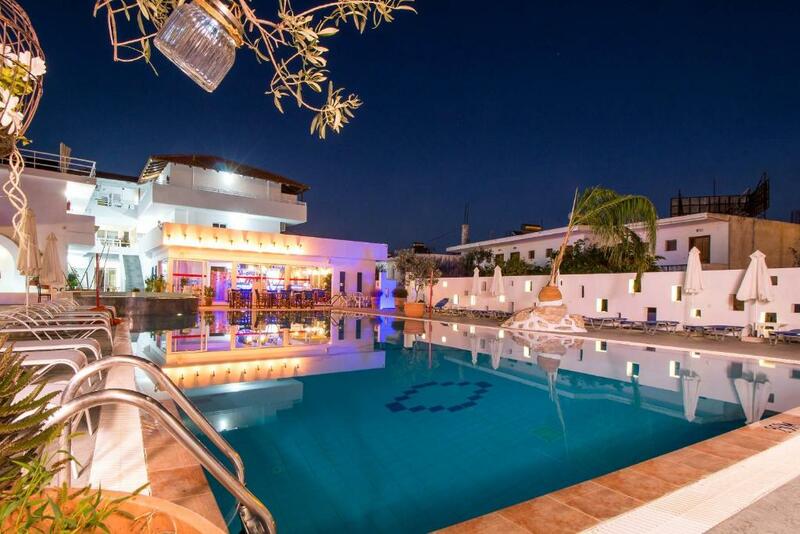 The pool area is lovely and is a really friendly relaxed atmosphere. 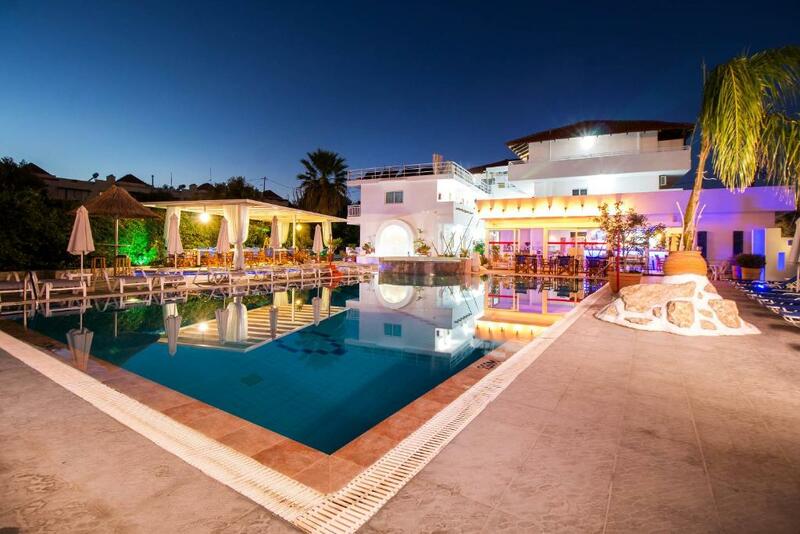 The staff are the real gem of this hotel, they all go out of their way to make you feel comfortable and are very attentive and professional but can also have a laugh. One day our playing cards blew off our balcony and one of the staff had run around collecting them all for us! The bar staff are brill and can make some seriously tasty cocktails!! I thoroughly recommend this lovely hotel. The hospitality of the staff during the holiday. The images of the hotel are misleading as they show the renovated rooms, however on arrival we were given one of the older rooms which was quite small and had tired decor. There were also ants around the tap on the sink.